Welsh snooker player Jamie Jones has lost an appeal against a 12-month ban following a corruption inquiry. He was suspended in October 2018 after he was accused of being part of a plan to fix a 2016 match between fellow Welshman David John and Graeme Dott. Jones, 31, was cleared of match-fixing, but admitted failing to report a corrupt approach. John got a five-year suspension, having admitted fixing two matches. There was no suggestion of wrongdoing by Dott. In addition, John was ordered to pay £17,000 costs, while Jones was told he must pay £9,000. 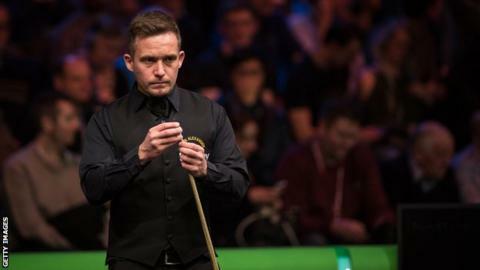 Jones appealed to the World Professional Billiards and Snooker Association (WPBSA) against the severity of his sanction. The panel upheld the length of his ban until 10 October and reduced his costs to £6,500 - but he must pay £3,655 towards the appeal.